What Should I Do If The Relay Is Under Voltage? Once the voltage applied to the coil is insufficient, the Power Relay will not work or the operation will be unstable, which will cause the durability of the contact to decrease or the contact point such as welding to be blocked. In particular, in a large motor or the like, when the power is turned on, the voltage applied to the relay coil sometimes drops at the moment of a load operation in which a large inrush current is generated. If the relay is operated in a low voltage state, even if it is a vibration or shock value within the specifications specified in the specifications and catalogues, the relay may malfunction. 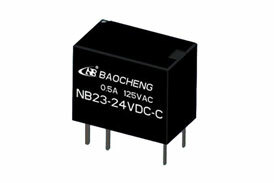 Therefore, apply a rated voltage to the coil of the relay. 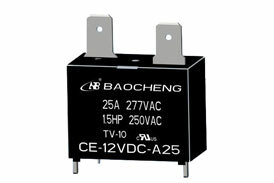 For fluctuations in the power supply voltage, apply a voltage to the coil that each relay can fully operate. If a voltage is applied to the coil that does not allow the relay to fully operate, the coil will be abnormally heated, causing the coil to burn out. 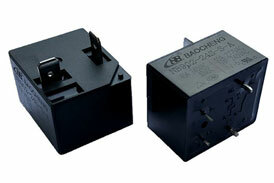 In addition, if a motor, a solenoid, a transformer, etc. are connected to the same power line as the operating circuit of Power Relay China, when those devices work, the power supply voltage will decrease, and the contact of the relay will vibrate, causing the contact to burn out and weld. Or can't protect themselves. In particular, when a small transformer is used and when the transformer does not have a sufficient capacity, such a use method may occur if the wiring is long or the wiring for household use or shops is thin. If a similar fault occurs, use a synchronous oscilloscope to properly adjust the voltage change, and take appropriate countermeasures or convert to a DC circuit while taking countermeasures.